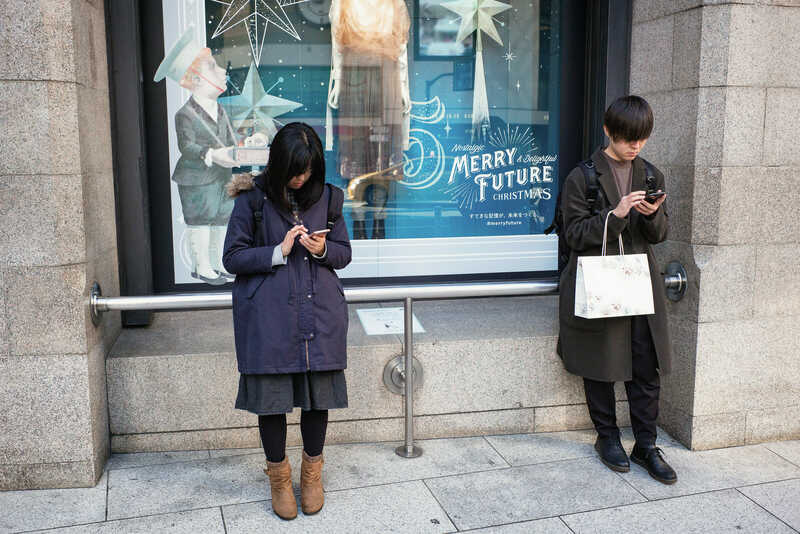 Tokyo ghosts of Christmas future? That’s a lovely frame you’ve captured those two in. It’s a bizarre marketing slogan. Nice store though. Bit like Selfridges in London, but far more friendly. Can just make out the JTG clock and Burberry store in the reflection. Thanks. Yeah, it really is a weird one, isn’t it? Not at all sure what they are trying to get at there. That must have been quite an experience. It can be pretty intense in there at the best of times. Been dragged in at the weekend, and the crowds are something else. Always amazed at how many staff there are too. Oh, and nice spot in the reflection. Thanks. You too. Merry Christmas! Thanks. You too. Have a suitably delightful merry Christmas!